Galpo Holeo Galpo Noy -Bengali thriller story book PDF by various writers. Containing 16 mind-blowing combination of adventure, thriller and hunting stories. Read or collect Bengali PDF E-books and enjoy this awesome Bengali thriller story book PDF by various famous Bengali authors. 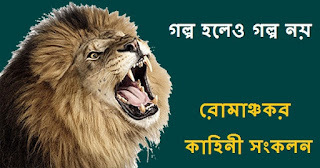 Remarks:-Read or collect Bengali PDF E-books, Bengali story books, Bengali novels, Bengali thriller story book PDF, Bengali Magazines (Patrika) and translated (Onubad) Bengali E-books in PDF format written by famous Bengali authors.